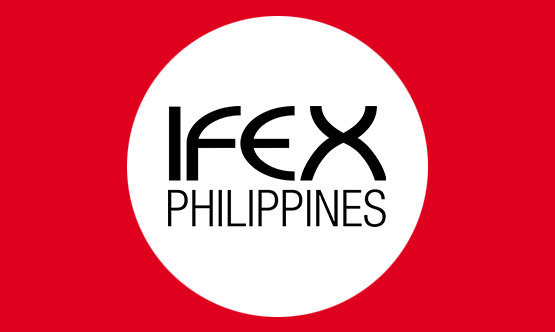 The country’s participation in this year’s edition of the Gulfood, or The Gulf Food Hotel and Equipment Exhibition and Salon Culinaire, highlights 23 export champions under the FOODPhilippines industry brand. ONE BRAND. ONE IMAGE. ONE VOICE. FOODPhilippines a branding initiative of the Center for International Trade Expositions & Missions (CITEM), the export promotions arm of the Philippine Department of Trade and Industry (DTI). An industry brand, FOODPhilippines unifies the promotional efforts of the government in overseas trade exhibitions and events. It distinctly captures the reputation of the country as a top exporter of fresh fruits, marine products, and natural ingredients. The world’s largest annual food event gathers the crème de la crème of the food and beverage industries this 17 - 21 February 2019 at the Dubai World Trade Centre. More than the great selection of food, Gulfood unveils a wide selection of product launches that features design, taste, packaging, and services innovations. The wide range of food at the Fair addresses today’s primary considerations that complement diet preferences, diversity of resources, ethical sourcing, fair trade practices, and sustainability, among other things. Buyers and industry authorities converge at this most important food show – where the principal opportunity to source the latest and best products at the best price prevail. More than 5,000 exhibitors from eight primary market sectors will converge in Gulfood’s 1 million square feet of exhibition space this 23rd edition. The Philippine Trade and Investment Center (PTIC)-Dubai is the representative office of the Department of Trade and Industry (DTI) in the United Arab Emirates. PTIC-Dubai is part of the Philippine Foreign Trade Service Corps (FTSC) of the DTI’s Trade and Investments Promotions Group. Areas of coverage: Middle East and Africa. Hobe Special Bihon, Hobe Palabok,Misua, Hobe Instant Bihon, Tita Dely’s Fruit Products, Tita Dely’s Soy Sauce, Fish Sauce, Vinegar, Pilipit, Shingaling, Uraro, Bagoong Products. Millennium Specialty Coco Products, Inc.
Desiccated Coconut, Virgin Coconut Oil, Refined Coconut Oil, Coconut Water, Coconut Cream, Coconut Milk, Coconut Flour, Coconut shell Activated Carbon. Abaca Pulp and other specialty pulps.